I always say this, but the best part of my job has to be touching base with my clients after their trips and hearing about their incredible experiences. I had the pleasure of working with Sarah Beth and Matt on their honeymoon to St. Lucia and my day was made when I received the message below from them upon their arrival back home. Are they not the cutest couple ever?! Thanks for checking in on us! It was AMAZING!!! Seriously, this was the dream honeymoon! We got the best driver to pick us up from the airport. I would recommend taking some motion sickness medicine because the roads are extremely windy. There are a lot of mountains and sharp turns. We didn’t get sick but if our driver had been any faster, i probably would have! Haha! He was fantastic though. When we arrived we were greeted by two tropical drinks and our butler who unloaded all of our bags. Our driver went straight to our room which was nice. The view from our room was breathtaking. Not real life. It was amazing!! The all inclusive was definitely the way to go. We didn’t have to worry about any money except tipping which is expected and not bad at all! The food was great, and I would say about 97% is included on the meal plan which was nice. The staff was incredible and friendly. The spa was amazing. We went on a private tour and it was fantastic. We made some good memories and highly recommend the Soufrie Safari tour. We also went on a sunset cruise at the resort. One word to describe that is perfection. We had an incredible time. Thank you so so much! 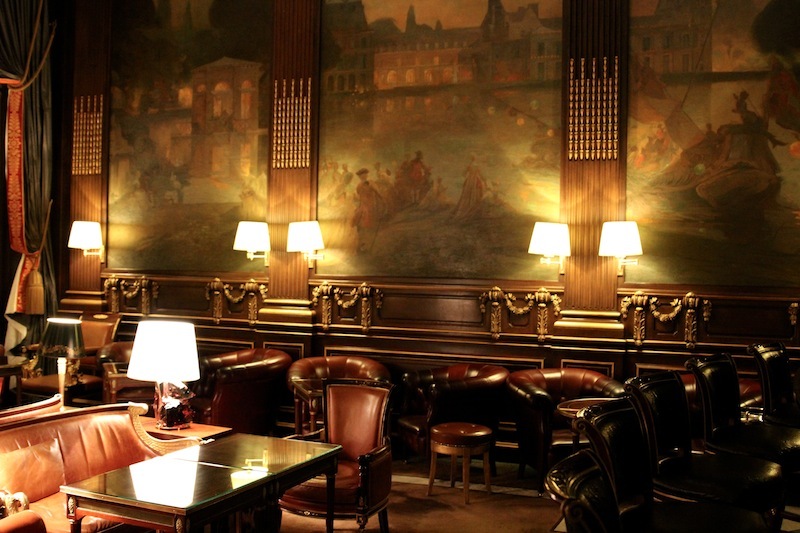 Le Meurice is often referred to as “the Hotel of Kings” and has accommodated countless monarchs, sultans, politicians, artists, film stars, and musicians over the years. Some of my favorites on the list include: Franklin D. Roosevelt, Rockefeller, Rudyard Kipling, Elizabeth Taylor, Harrison Ford, Beyonce, and famed artist, Salvador Dali, who actually lived at the hotel for quite a long period of time. And of course I have to mention for all of my rap lovers out there that Jay- Z and Kanye West recorded their hit album Watch The Throne while staying at this hotel. Does the line “Le Meurice for like six days” ring a bell? It should if you listened to the album! 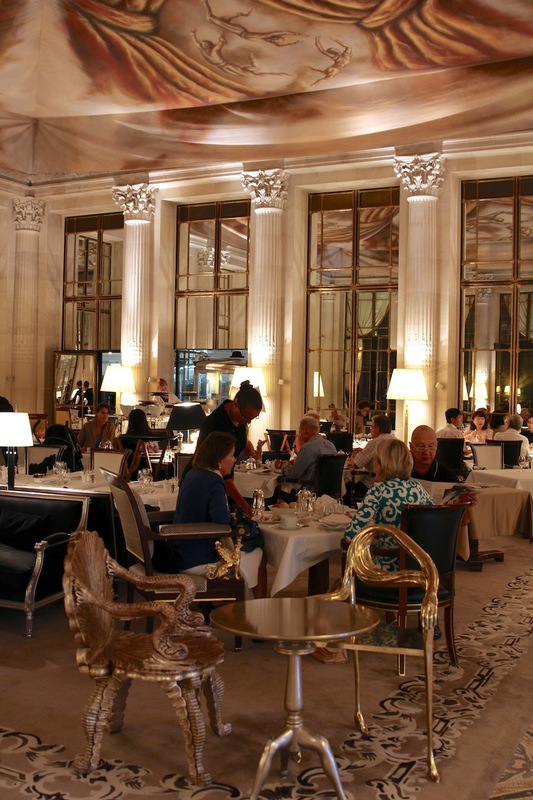 I am so excited and a little overwhelmed as I write this post because there is just so much that I want to share with you about Le Meurice. That being said, Im sure that I will probably leave out a few things so please do not hesitate to ask me if there is anything specific that you want to know about this incredible hotel. 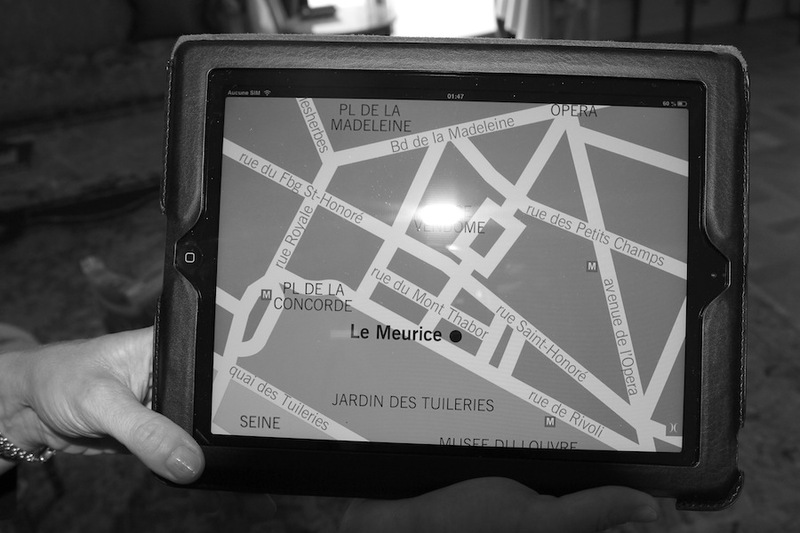 First I will start off by saying that one of the best parts about this hotel is its location. 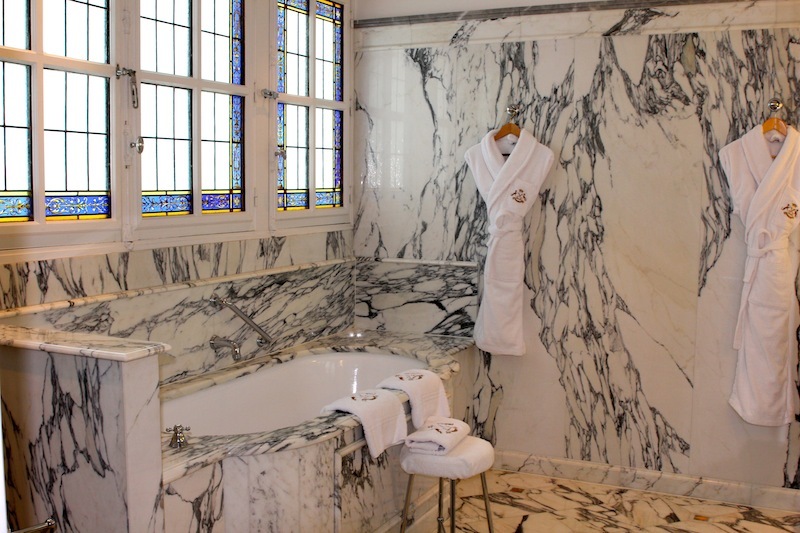 Located in the heart of the city, Le Meurice overlooks the beautiful Tuileries Garden and is a short walk to the Lourve and most of the other main attractions in the city. When we arrived at the hotel we were thrilled to find that everything we wanted to see could be done so without taking public transportation (although we did have some very memorable subway moments on our trip). As we checked in at the front desk I couldn’t help but notice that every single staff member we spoke to was genuinely concerned that we had absolutely everything that we needed to make our stay perfect. I think I probably heard the phrase “anything you need, just let us know and we will make it happen,” probably about 20 times. Next I met with Cecile, my main contact at Le Muerice, and had a wonderful tour of the property. Cecile is the one that takes care of getting my clients extra amenities (upgrades, free breakfast, 85 Euro resort credit, early/late check in/out, etc.) and makes sure that they get VIP treatment while they are there! 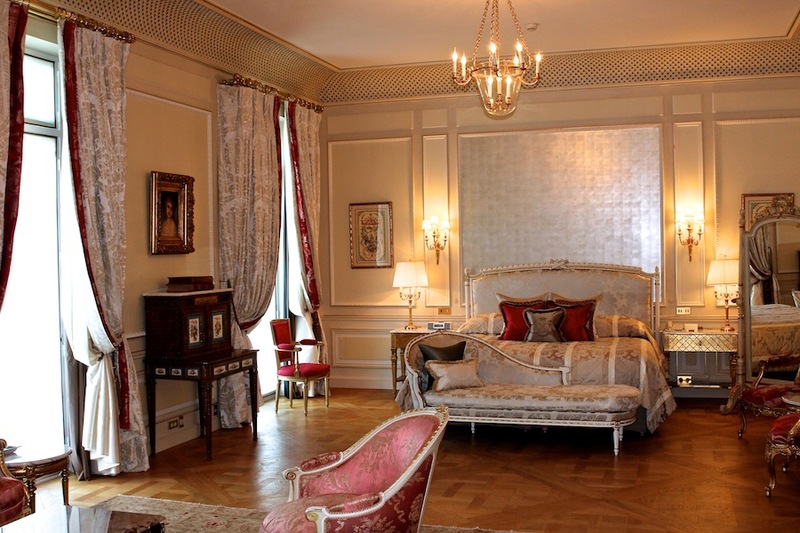 In another post I will show you photos of my room at Le Meurice but for now here are a few that I took while touring the hotel with Cecile. The whole hotel has a feeling of authentic Parisian luxury with modern twist. 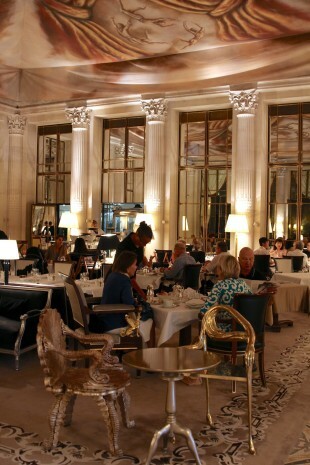 In 2007 it was beautifully renovated by Phillipe Starck. Below is a photo of Restauant Le Dali, where guests can enjoy excellent food under a 1560 square foot canvas that was painted by Philippe’s daughter, Ara. The chairs pictured here, along with other items in the room, were designed by Salvador Dali himself. Often compared to a British club, Bar 228 has a cozy yet masculine feel with leather furniture and original paintings on the walls. 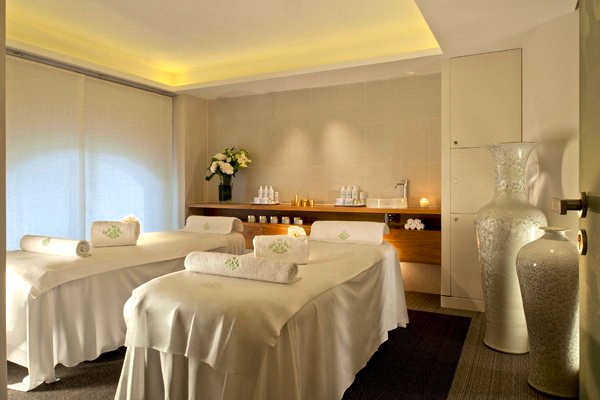 The Valmont Spa is the perfect way to relax after a day full of seeing the sights! There are great room options whether you are looking for a romantic getaway for two or a multigenerational family trip (lots of connecting rooms). 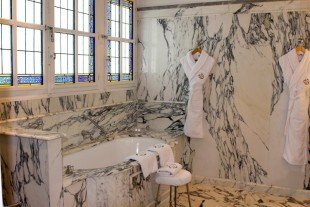 All of the rooms are very elegant and spacious with large marble bathrooms and gorgeous details. Let me know if you would like some more info on Le Meurice and the awesome amenities I can get you there!